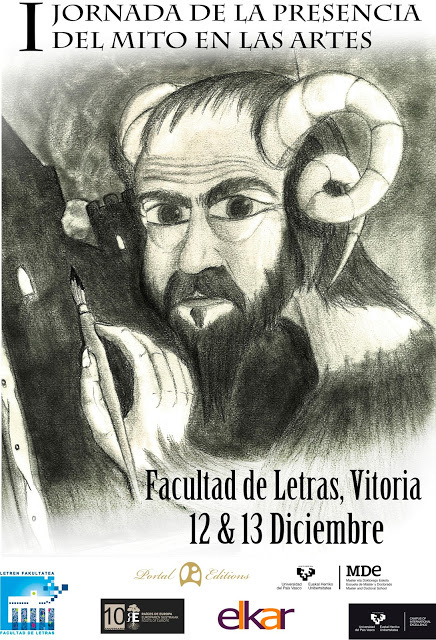 The "III International Conference on the Inklings" has begun today at the Faculty of Arts of Vitoria-Gasteiz. We have been delighted with the scholars who have presented their papers on the issue about the Inklings. The day has started with the paper by Dr. Matías Zamjlic, from from the University of Milan, who has presented his paper on C. S. Lewis' pieces of works and their representation on cinema. 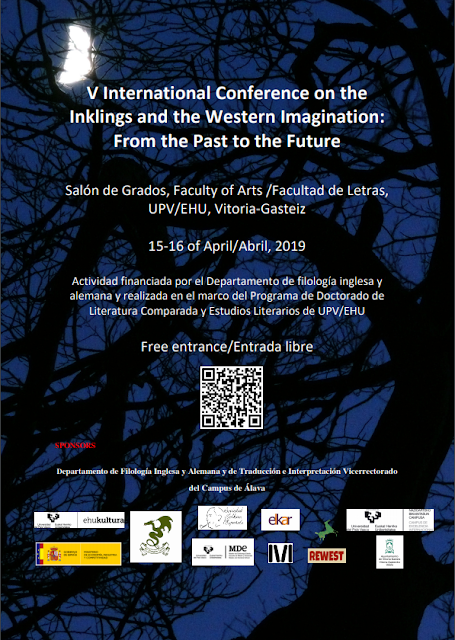 As a second round, Dr. Eduardo Segura, who has been with us in previous conferences, has presented his paper about the importance of Death in Tolkien's Middle Earth. These two papers have lent to the hearers to participate actively and therefore throw questions to the speakers. 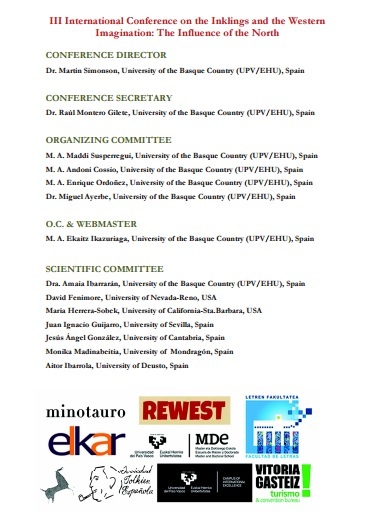 Also, in the last presentation, as in the last two conferences, Paul Urkijo has presented his project under the title "Cuchillo McGregor y el vasco" and after that he has been speaking about his future projects. After the papers, all the guests have been invited to a small meeting with snacks and drinks promoted by the collaborator of the conference, Elkar.